Home / Blog / From Patreon to PMPro: A showcase of two guys doing everything they can to live for another. Paid Memberships Pro recently reached 80,000+ active plugin installs. While this was amazing news for us, this showcase is not about that milestone. We want to talk about Dillon and Clay: two people who responded to our celebratory video email and decided to share their membership site, and story, with us. In 2017, Dillon and Clay’s longtime friend Chris was re-diagnosed with Leukemia and given one year to live. Upon discovering this, the duo quit college, paused their life, and set out on a mission: to help Chris complete his bucket list, item by item, during what they thought was Chris’ last turn around the sun. They filmed their adventures and published a documentary series as Chris completed his bucket list items. Some of these adventures included: Getting a shoutout from The Rock, touring SpaceX, and meeting Danny Devito. The trio’s story went viral: over 100 million people heard about their adventures and tuned in to support their biggest dreams. In March of 2018, they crossed item #4 off the list: Break a World Record. Quite fittingly, they broke the record for most bone marrow donor signups in one day. Over 11,000 people signed up for the bone marrow registry. One of those signups saved their best friend’s life. 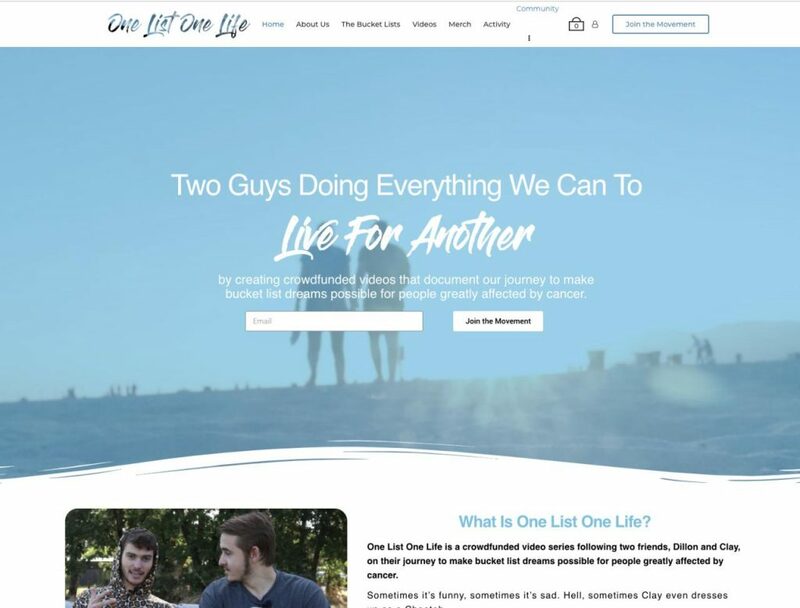 As this incredible journey drew to a close, Dillon and Clay realized they were living their own dream: making other people incredibly happy, giving them a purpose and helping them live the best life they possibly could. 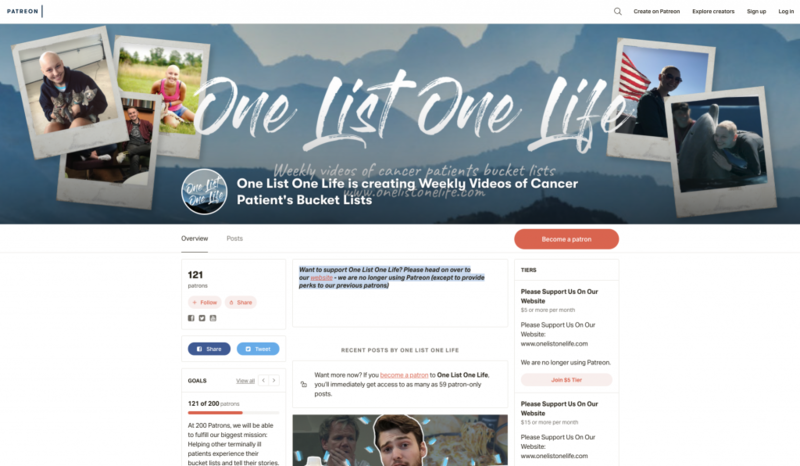 Today, One List One Life documents their journey to make bucket list dreams possible for people greatly affected by cancer through crowdfunded videos. Meet Lexi and view her bucket list here. Before starting their own PMPro-powered website, the two friends decided to crowdfund their initial journey on Patreon. Patreon helped them connect with the people who wanted to offer financial support and be a part of their first journey with Chris. Once they realized that this mission was far bigger than one story, they decided to develop a “hub” where they could share videos, connect with members, and get ongoing (recurring) support for their mission. One of the biggest benefits of a WordPress membership site is that you own your own platform and data. You have full control of how you want to run things. That total control can make things slightly more difficult in the short term. On the flip side, owning your own platform can prove to be extremely valuable in the long run. Remove or alter the functionality that is cornerstone to your business. 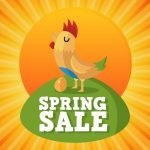 What was once a free tool that helped build your audience can easily become overpriced, inflexible, and possibly obsolete. 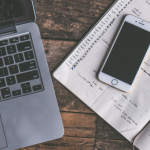 One List One Life uses the core PMPro plugin and our Add Ons to create a membership site that fits their business and their audience. And when the time comes to adjust their model or add new features, they know that WordPress and Paid Memberships Pro will offer the building blocks to do so. Dillon finds that they are using some of the more versatile Paid Memberships Pro Add Ons because they gave them more options for their unique membership site. Add Shipping Address to Checkout and Add Name to Checkout are being used to capture more specific member information. Mailchimp Integration Add On allows them to stay in touch with members and send them regular updates via email. Add PayPal Express to Checkout Add On offers PayPal as a payment option in addition to your primary gateway’s credit card option. Some members are just more comfortable with PayPal as their payment method, and if you aren’t offering this method you may be missing out on some sales. Variable Pricing Add On gives members the freedom to decide how much they would like to pay for their membership. For a site like One List One Life, membership is more of a pledge to support rather than a traditional fixed-fee membership structure. bbPress Integration and BuddyPress Integration Add Ons allow them to restrict forum access for support, “Bucketeer” engagement (that’s what they’ve named their membership), and enable community building for engagement and lifetime value. Responsive Reports Dashboard allows them to effectively review membership sales and growth right from a mobile device. 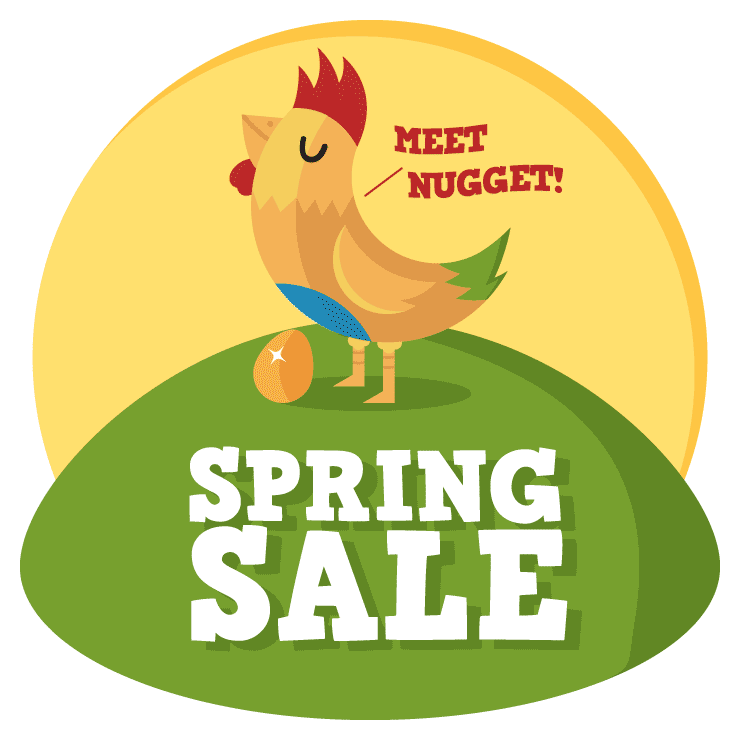 Affiliates: Lightweight Affiliate Tracking Add On enables tracking through multiple affiliate marketing channels. This helps them have a clearer picture of which marketing channels are working best. Zapier Integration helps them store member details for reference and offsite member management, specifically to track merchandise sent to members as part of their Bucketeer membership. They (PMPro Add Ons) help by either making the checkout process easier for our members or the management process easier for us. —Dillon Hill, One List One Life. One List One Life needs YOU. If you are reading this showcase, you’re probably involved in running a membership site or considering starting one of your own. Chances are you know all too well the struggles and challenges of managing a membership community. Although One List One Life is different from a conventional membership site, the challenges of attracting and retaining “Bucketeer” members are very much the same. If Dillon and Clay’s story inspired you, here are some ways you can help. Financial Support: It costs an average of $417 to complete a single bucket list item. Their expenses include everything from the cost to complete a person’s bucket list item to actually creating and publishing the videos that document the journey. There are a variety of Bucketeer Membership Levels as well as a shop for One List One Life merchandise available on their site. Spread Awareness: Join the community, sign a petition, watch their videos, and share them with your network. This often overlooked means of support is one of the easiest and fastest ways to bolster the cause.Aside from the cost of helping to complete a bucket list item, there’s also a hidden factor that can only be achieved by an increased amount of awareness. It’s a lot easier to get that meeting with a celebrity or tour of a private business when the world of social media puts its eye on you. Best of all, spreading awareness is totally free. Meet Talon and view his bucket list here. ← How to adjust your membership site’s default currency format.